Betsy Schneider and Rebecca Senf will be signing To Be Thirteen (published by Radius books) on Saturday April 7th at 1PM, at booth #90. The signing will take place at Pier 94, 711 12th Avenue, in Manhattan as part of AIPAD. 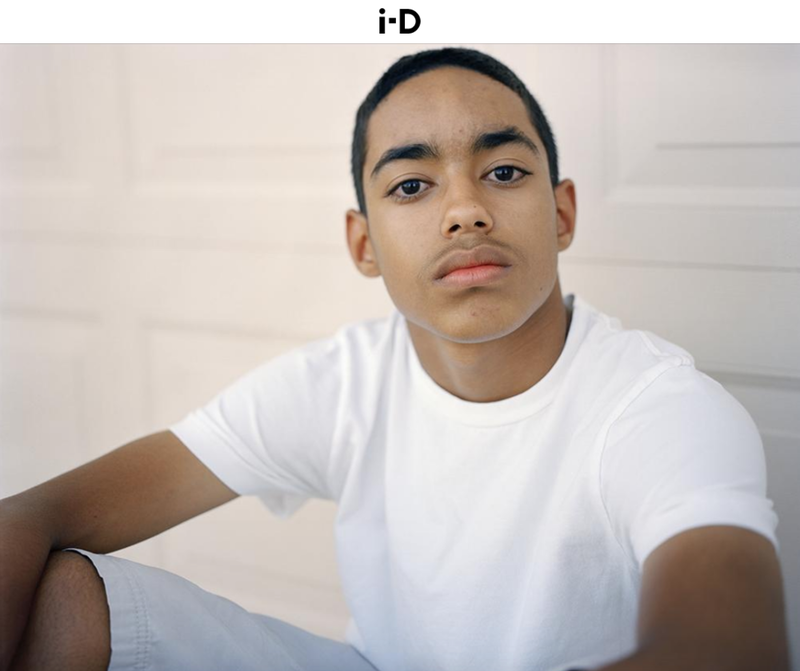 Images from Betsy Schneider's publication with Radius books will be featured on i-D. You can see the full article here. More images can be seen here. Several of Betsy Schneider's photographs from To Be Thirteen can be viewed here at Huck. More images from the series can be viewed here. Radius Books publishes To Be Thirteen. "In 2011, photographer Betsy Schneider, herself the mother of a thirteen-year-old daughter, embarked on a project to explore the experience of being thirteen: “With this work I am interested in provoking thought about simple dichotomies to which adolescence is so often reduced. I am motivated by the intensity, the complexity and the beauty of that point in life. I wonder not only about the experience of early adolescence, but also about how we as adults retain that experience and how it shapes us for the rest of our lives.” Traveling around the United States, the Guggenheim grant recipient spent 2012 chronicling 250 thirteen-year-olds, creating still portraits and video documentation of each. The resulting body of work creates a rich collective portrait of a group of Americans whose lives began at the turn of the millennium and who are coming of age now. To Be Thirteen depicts all 250 portraits, and includes an interview by Center for Creative Photography Chief Curator Rebecca Senf with Schneider, unpacking details about the artist’s process, insights about the experience, and how the project changed her, as well as excerpts from the thirteen-year-olds’ own words. This publication captures and conveys the experience of meeting with the artist and looking through a stack of prints with her, and will complement an exhibition of the project debuting at the Phoenix Art Museum in the spring of 2018."